Buyer personas are supposed to tell you who your customers really are, giving them names, faces, and features that can help you understand what motivates them and how and why they might be interested in your product. But most SaaS buyer personas don’t go far enough—they’re way too thin, with catchy names and some cool adjectives, but rarely going much beyond that. In the end, they can end up as an exercise in creativity rather than actually resulting in a written understanding of the customer that everyone can work off of. To be truly useful, your buyer personas need to include quantified models of your customers. They need numbers attached — their customer acquisition cost (CAC), lifetime value (LTV), willingness to pay, and more. That’s the only way your understanding of your buyer personas becomes concrete and measurable, so that they can be used in a way to push your business forward. SaaS is all about cloning your successful customers. And that’s the purpose of buyer personas—to describe to your team what a successful customer looks like, so you can align everyone to pull those folks into your funnel. "Not cloning successful customers is like having the key to life and not turning the knob"
Success can be defined a number of different ways, but at its core, a successful customer type is one whose LTV to CAC ratio is 3:1 or greater. Identify that customer and you have the foundations of a successful SaaS business. That’s why it’s absolutely critical that you learn which of your customer types are working for you and which aren’t—and you’ll never do that if you don’t take your macro LTV:CAC number and break it down by buyer persona. Calculate an LTV:CAC ratio for each buyer persona, and put it in your buyer personas so everyone on the team can see it. That’s how you’ll find where your customer acquisition efforts are paying off, and where you need to adjust your tactics. 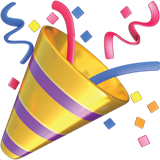 Suppose you have an overall LTV:CAC ratio of 3:1. 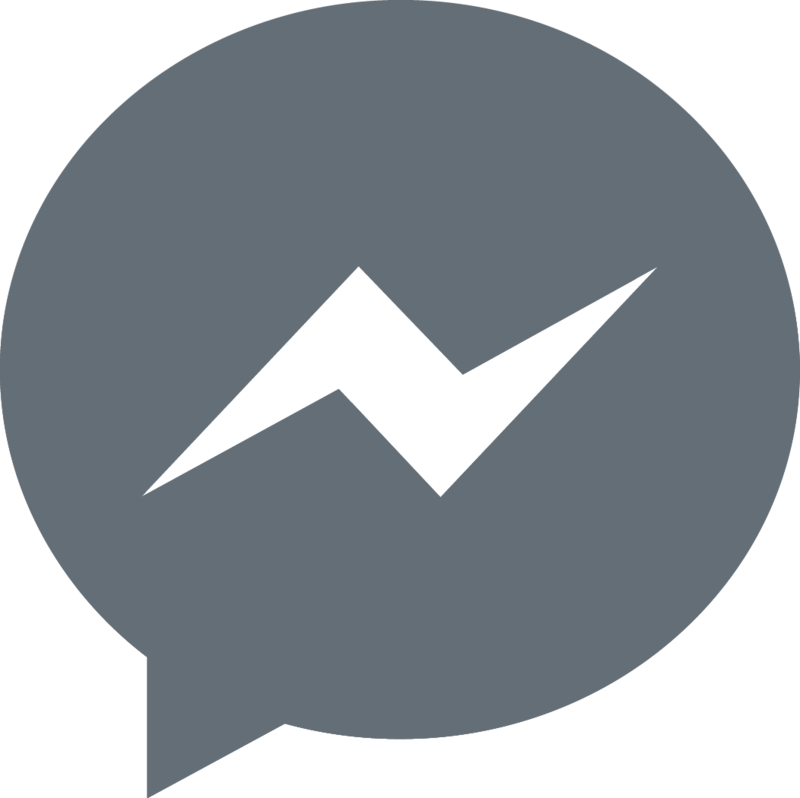 This would immediately look like you’re doing OK and should continue along the channels and messaging that you have been using. However, splitting your LTV and CAC between your buyer personas could show a different story. With quantified buyer personas, you’ll have separate LTV and CAC numbers associated with each persona, showing how each of those individual customers types are performing. Your Marketing Mary buyer persona might actually have a higher LTV:CAC ratio of 4:1. For this customer type, you should double down and pour more resources into your existing channels. Knowing that you have an excellent LTV:CAC ratio for these customers gives you the confidence to push harder to replicate them. 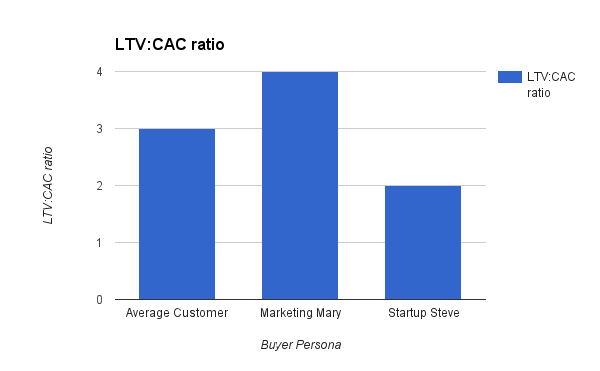 Whereas Marketing Mary might be doing well, your Startup Steve persona could be pulling your average LTV:CAC down, with their ratio falling below 3 to 1. This is a sign that you need to improve retention for those customers, increasing their LTV to get that ratio back up above 3. Or, in the alternative, you need to find lower cost channels to acquire these customers. Optimizing your pricing is one of the highest leverage things you can do as a SaaS business. Your entire sales funnel goes through your pricing page, so it’s absolutely critical that you understand the different buyer personas that come to the page. There are various ways you can set your pricing. Two common ways to structure your pricing are cost-based and competitor-based pricing. With cost-based pricing, you’re setting your pricing based on how much it costs you to provide your service. With competitor-based pricing, you are using your competitors' pricing to set your prices. However, both of these methods are inherently flawed because neither are specific to the buyer personas of your customers. What matters, then, is understanding your customers, the value they get from your product, and the amount they’re willing to pay. This is the basis of value-based pricing — pricing your product based on how much value your customers perceive they are getting at a certain price point. By basing your pricing on what your customers actually want and need, and their willingness to pay, you can get the absolute best price for your service. 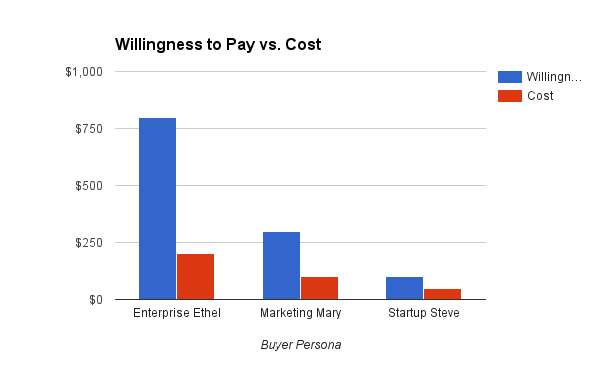 Quantifying willingness to pay is at the crux of quantified buyer personas. If you don’t know how much someone is willing to pay for your product then you can’t possibly start to construct a pricing strategy. Therefore, drilling down into your buyer personas has an enormous impact on your pricing. When you quantify your buyer personas by willingness to pay, you can create serious differential pricing to drive massive revenue growth. When you quantify willingness to pay separately from the cost of providing the service, you'll see a huge opportunity. Marketing Mary is willing to pay $300 and it only costs $150 to provide the service to her. If you took a cost-based perspective, you might mark up your service by 20% or 30%, and miss the chance to make your price 2x what it costs. Moreover, the cost of providing the service to Startup Steve, Marketing Mary, and Enterprise Ethel ramps linearly, but their willingness to pay increases non-linearly. Without quantifying your buyer personas' willingness to pay, you may be tempted to put a linear ramp on your pricing because it “looks reasonable.” By using value-based pricing, you can see that one customer's willingness to pay may far, far exceed another's, and both are usually far greater than their cost to you. Alas, your customers can’t actually be cloned. But everyone you bring onboard teaches you something about themselves and your product, and adds another data point that you can use to model your customers. Even the leads that don’t become customers, and visitors that don’t become leads, will teach you something. Using surveys and feedback from your customers, you can analyze their demographics and see into which buyer persona each customer fits. Then you can use their data, such as their CAC, to strengthen that specific buyer persona. You can then use this quantified buyer persona to develop data-driven models of your customers and use these to test new ideas for growth. Quantify your buyer personas: This is where you start to tie numbers to each of your buyer personas. You can add pricing to each buyer persona, their LTV, CAC, the most productive marketing channels. Without these, you are just using guess and check marketing. Deepen those buyer personas: Once you’ve got those basic numbers, you need to drill down into your buyer personas and get as much data as possible. The best way to do this is to define the problems that you’ve been facing with your buyer personas and work out what you need to do and what data you need to collect to start using your buyer personas more efficiently. Determine the best fix: Once you know what problems you face, you can then prioritize them, determine which ones you can attack the quickest, and define goals for success. Plan implementation: Once you have an idea of your big problems, you can then use data to find the cause of the different issues and design a minimum viable test (MVT) to test your hypothesis and solve the problem. Repeat: Continue this process again and again, deepening your understanding of your customers and exploring your business. This should show you one incredibly important point in all this: it’s a continual, ever-evolving process, just like retention. Most SaaS companies set up their buyer personas in a flurry of initial activity, but then forget about ever updating them as the service changes and they learn more about their customers. But you should always be re-evaluating the choices you made with each persona, feeding in new information from your product, metrics, surveys, and outreach so that your models are as close to reality as possible. You can call your buyer persona Startup Steve. You can give him a cool avatar and specific hopes, dreams, and fears. Allowing your buyer personas to come to life helps you understand your customers as real people. But it's through quantifying your buyer personas that you add precision and rigor to your understanding of your customers. That's how you'll evolve them from a vague resource into a serious weapon that can drive incredible growth. With quantified buyer personas, you can target exactly the right individuals by using the right value propositions, at precisely the right prices, giving your customers exactly what they need and making your growth stratospheric.